A photo from earlier this week, the catch is what we like to capture I suppose. This is from a 2400x1600 pixel crop. that is... very, very good!! Wow. Awesome, could easily be a hanger! Great shot, Mike. I'm envious. Depends on how far away people stand. Good timing on getting that view!! Is she going to be able to eat all that? Good capture. Crops on K-1 can be nice. 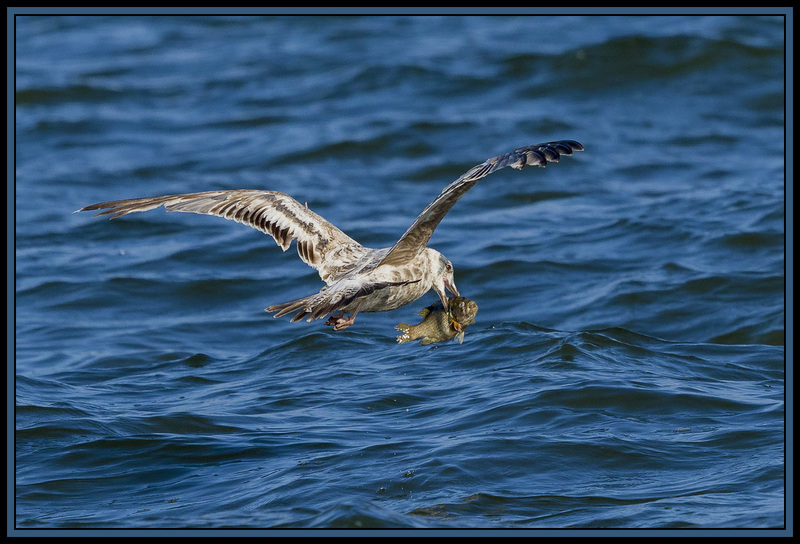 Nice work Mike .That gull definately made a big haul. Absolutely awesome photography. What a beautiful capture. Many thnx for uploading.